I’m in no doubt that Croatia should be on everyone’s honeymoon hot list. It’s one of those 'under the radar' destinations that’s got it all, and is fast becoming an affordable rival to St Tropez. Completely Croatia has the inside track whether you want to discover historic cities such as Dubrovnik, hide away on a tiny traffic-free island or explore the countryside by Ferrari. As you might guess from our name, we only offer holidays to Croatia and we know it inside out. We’ve found the best places and, specifically with honeymooners in mind, negotiated some great deals and special touches. A perfect choice for a honeymoon is the modern stylish boutique Hotel Navis which has 44 rooms, each with full sea view and balcony. It is secluded and private with a large sun terrace, indoor pool, spa, sauna and steam room. The hotel has a contemporary restaurant with a great wine list, or you can walk to nearby Volosko for authentic fish restaurants. For the ultimate in stylish luxury, we’d recommend the Hotel Damianii, the only hotel we have ever come across which has more Jacuzzis than rooms. There are just 12 stunning suites, a private sandy beach and Restaurant Gold Code for fine dining and superb wines. Approximately half an hour from Split, you will arrive by private transfer and enjoy stunning views and the finest service. If small is your idea of beautiful, we also recommend the Hotel Bozica on peaceful Sipan Island. Arrival by private transfer in a speedboat makes this honeymoon extra special. 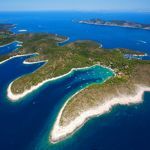 Once you’re there, expect some of the best views to be found anywhere in Croatia, private coves, tranquil wooded areas, and some of the finest food. We’d say it was just about heaven on earth! For something completely different we offer a luxury cruise, the perfect way to experience all the beauty of Croatia in style. 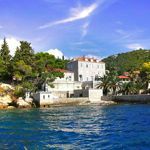 Find out more about honeymoons in Croatia and our latest special offers.